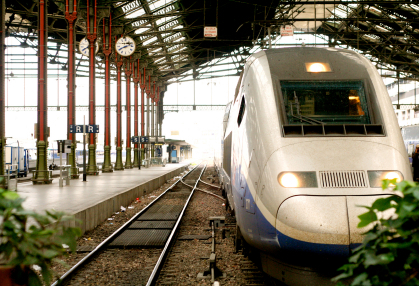 If you’re heading for Europe this summer—and plan to travel around while you’re there—you may be considering some form of railpass. Before you buy, however, take a close look at all your alternatives. The variety of pass options is staggering: 27 one-country passes, dozens of various two- and three-country combinations, a handful of multicountry regional passes, “Eurail Select” passes covering any three, four, or five adjacent countries, and the original all-countries “Global” Eurailpass. Most passes cover unlimited rail travel in their geographic area, but only the Swiss passes include the scenic “Glacier Express.” And most passes include a bunch of extras. The basic rule here is to buy a pass that includes the least amount of area you need to travel. Most railpass families include two approaches to the period of validity. “Consecutive” passes cover unlimited travel on each day of the total validity period, from four days of travel out of four consecutive days to 30 days of travel during a month. “Flexible” passes limit you to travel on only a specified number of days— typically from three to 15 days—out of a total validity period of one or two months. Obviously, unless you want to spend almost all of your time riding trains, flexible passes are the better option. Most railpass families also offer a “saver” option covering two travelers that reduces each traveler’s cost by about 15 percent (more in a few). That discount is enticing, but beware: Both pass holders really have to travel together on every trip. One can’t go off on his or her own for a quick side trip somewhere while the other takes a nap. Some adult passes are available only in first class, including the Eurail Global and Select passes, passes for the Balkans, Europe East, Greece, Romania, and several two-country passes that include Austria. Most of these passes are available only in second class for youths 16 to 25. Norway and Scandinavia passes are available only in second class. The other pass families give you the option of first or second class. BritRail offers a unique discounted first-class option for youth accompanying adults. BritRail and France passes offer senior discounts to travelers age 60 or over, in first class only. In Britain, even with the discount, senior passes are quite a bit more expensive than any-age second-class passes. In France, however, the price premium is small enough to make that senior first-class pass an attractive option. Seniors also get discounts on first-class-only Balkan passes. My take is that, in the most developed countries, second class is more than adequate. First class, however, offers not only more comfortable accommodations but also fewer crowds during the heavy summer vacation travel season. It’s your choice. Railpasses in the larger and more developed countries are expensive, starting at around $150 a day for short-duration Swiss first-class passes and at around $60 to $70 a day for short-duration second-class passes in the bigger countries. The price per day goes down as you buy more days, but you’ll still pay around $40 a day. And even with most passes, you have to pay extra for mandatory seat reservations on top trains. To avoid overpaying, lay out your trip in advance, trying to concentrate your train travel into as few days as possible, and check the price of the least expensive pass that covers your needs. Then get online and check what you’d have to pay for individual point-to point tickets for the same trip. You can now buy passes and also gain access to the many available discounted and promotional single-ticket fares through Rail Europe, Eurail, Railpass, and BritRail. The Deutsche Bahn website is also good for lots of Europe, and Raileasy is great for cheap fares in the UK. The train is a great way to travel around Europe. But don’t buy an expensive pass when individual tickets will cost less.